What to see in Ljubljana, a photographer’s dream? The capital city is a lovely gem in Slovenia with striking architecture, intriguing archaeology, and a refreshingly green outlook while remaining miraculously free of a swarming mound of tourists like so many European cities. 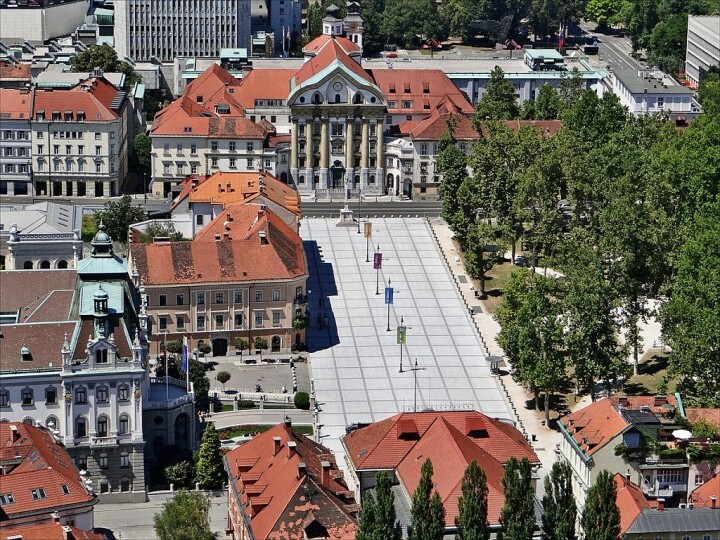 Fall madly in love with Ljubljana by hitting the city’s most promising sights. Here is the list of What to see in Ljubljana including its most beautiful places, sights, parks, museums, bridges, and fountains. The famous 20th-century architect Jože Plečnik’s presence is sensed all throughout the city, but nowhere more so than the iconic Triple Bridge. The bridge’s one-of-a-kind design and view of some of the city’s most significant landmarks makes it a nice place for tourists to stop and look around. The sight of dragon statues all around Ljubljana is delightful and intriguing. 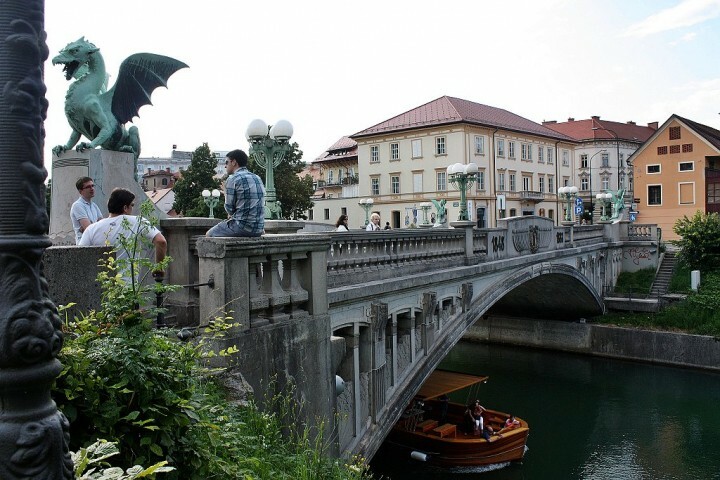 It takes inspiration from the mythical hero Jason and his Argonauts who – as legend has it – came to Ljubljana and killed a fearsome dragon at the spot where Dragon Bridge now stands. 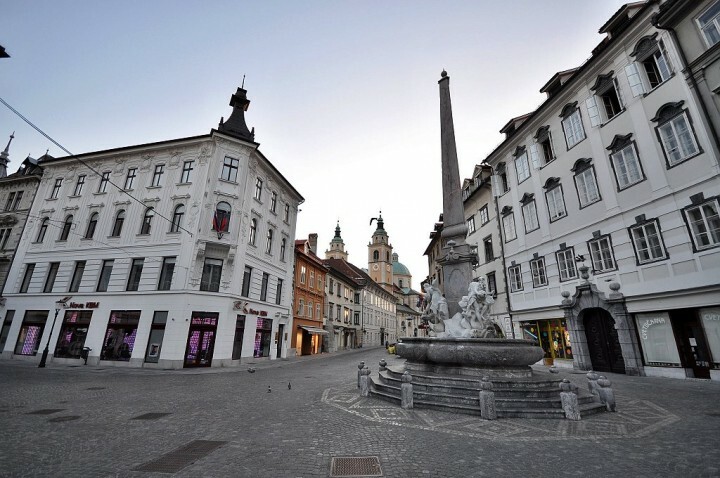 Get a sense of Ljubljana’s street culture in the charming Prešeren Square. Locals converge at the heart of the city to enjoy each other’s company or the activities of street performers milling about. Occasional art exhibitions and musical acts offer entertainment to the visitors. 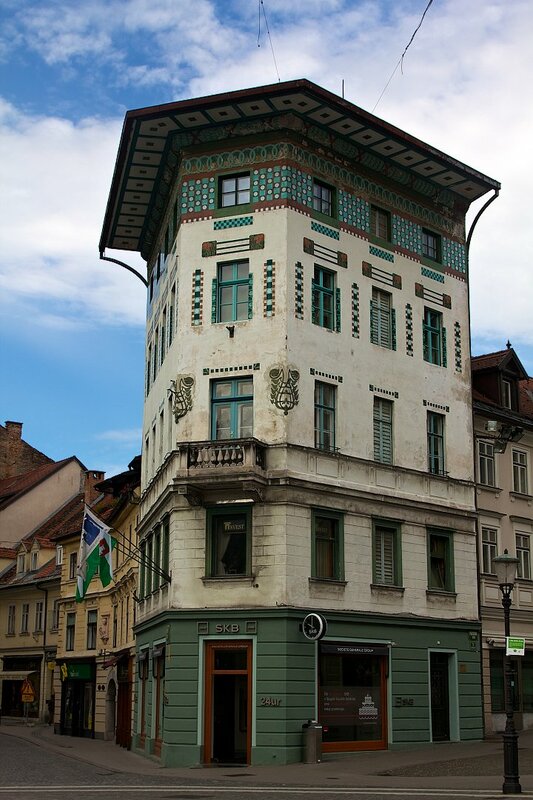 While standing on the Prešeren Square you will be amazed by nice architecture, including that of Hauptmann House, unique 19th-century building. In the early 20th century it was rebuilt into a Secession style and now you can admire its great facade decorated with coloured ceramic tiles. 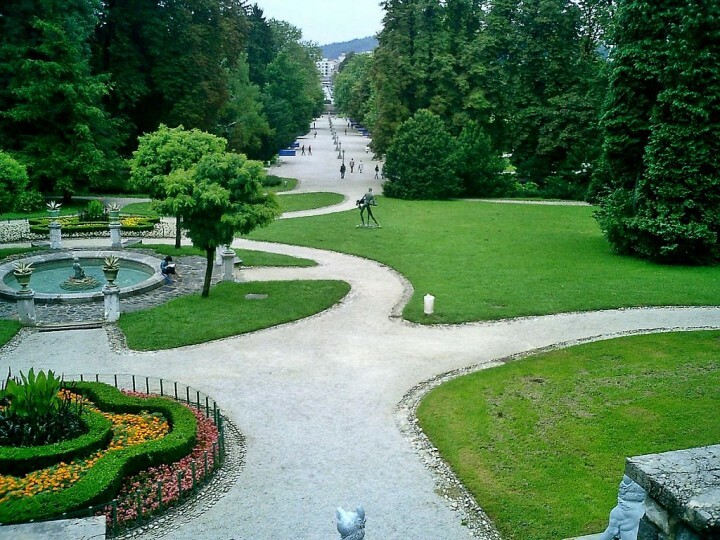 Follow the winding road up the Castle Hill to the beautiful Ljubljana Castle. It rises over the small city of Ljubljana, offering magnificent views. Noteworthy areas of the castle include the prison, the 300-million-year-old fossils and the St. George’s Chapel with 15th-century frescoes. The Ljubljana Cathedral is officially named the St. Nicholas’s Cathedral, with roots that date back to the 1200s. 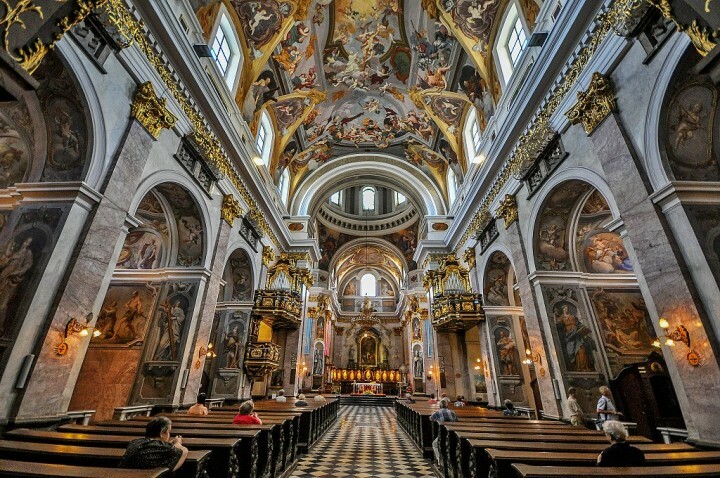 While the cathedral has undergone numerous alterations over the centuries, it retained priceless Baroque decors including works by Giulio Quaglio, Angelo Putti, Paolo and Giuseppe Groppelli, and Francesco Robba. Quiet and undisturbed, the cathedral is a wonderful retreat at the heart of the city. The large expanse is a pleasant place to spend an afternoon in Ljubljana. Tivoli City Park provides endless potential for fun and recreation, from picnics and biking to zoos and museums. A wonderful blend of family-friendly attractions and natural reserve, this is one of the city’s secret treasures. Brimming with charm and character, the delightful Old Town is the perfect place to wander around on a free day. Join the crowd at the Fresh Food Market where you can pick up flowers and food, or the Central Market which offers more variety with stalls overflowing with souvenirs and crafts. Both museums are found in one building in the city centre, so it’s an easy two-for-one hotspot for tourists. 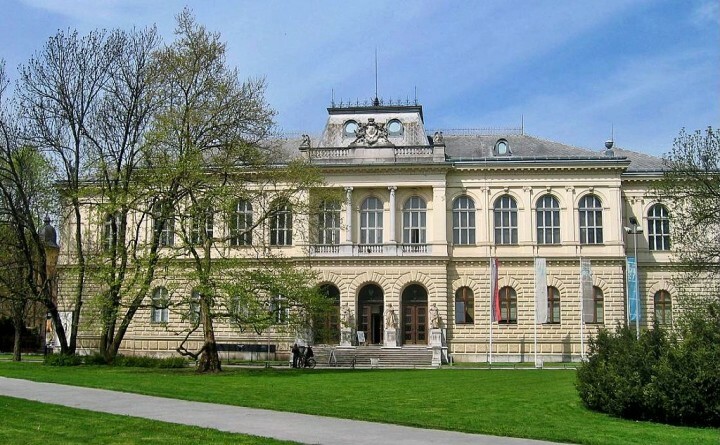 While it is not as big and grand as other European art collections, Slovenia’s oldest museum boasts an impressive haul of archaeological treasures including an ancient Egyptian mummy. Back in the Baroque era, there was already a small square in this plaza, which was renamed when it was used for the Congress of Ljubljana. 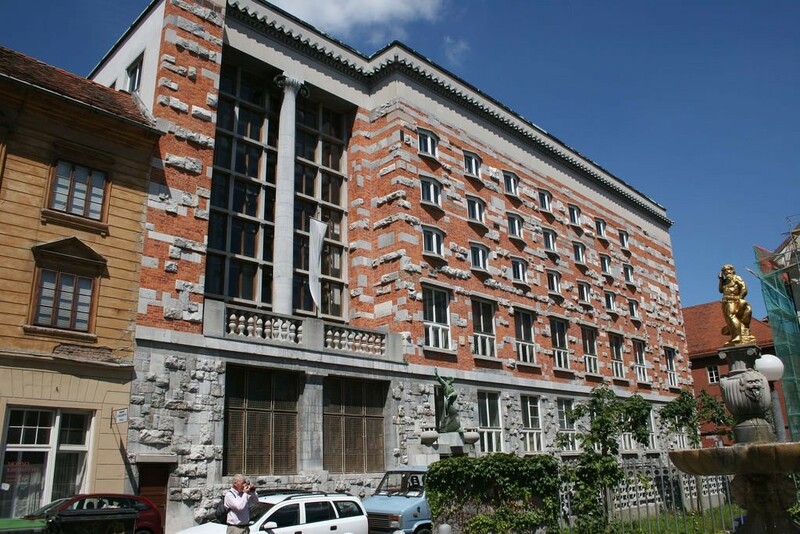 Surrounding the present Kongresni trg are other historically significant structures including the building of the country’s oldest publishing house, the Baroque Ursuline Church of the Holy Trinity and the Slovenian Philharmonic, among others. 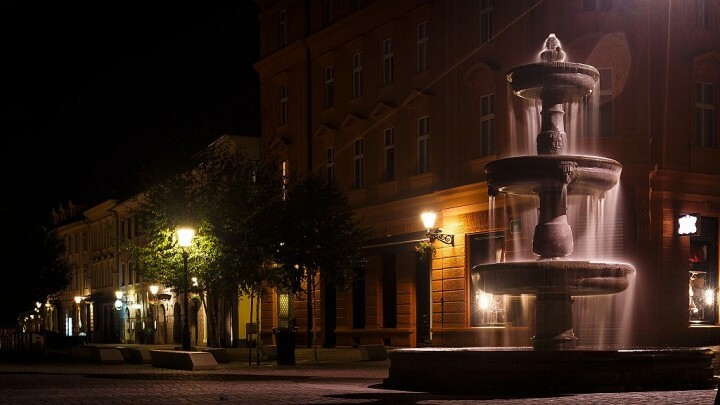 The fountain, also known as the Fountain of Three Carniolan Rivers, is a creation of Francesco Robba and known as one of the city’s most prominent monuments. Robba, a master Baroque sculptor, designed the fountain with three gods symbolizing the Carniolan rivers and a ground plan that’s shaped like the city’s three-leaf seal. Plečnik was the most important architect of Ljubljana. You can walk through the Colonnade of Ljubljana and admire his works between a Triple bridge and Dragon bridge. Stari trg is the oldest square in Ljubljana and is adjacent to Mestni trg. However, you will find out that it is more a street than a typical city square. You can enjoy some cup of coffee here. Railways are one of the best modes of transport for your trips around Slovenia and if you wish to find out something more about railway history then you should visit Railway Museum in Ljubljana! Nebotičnik means skyscraper in English. 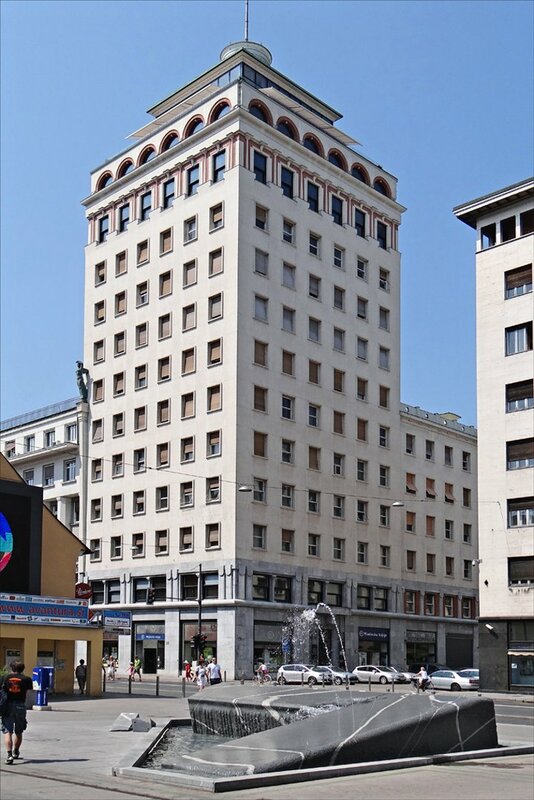 Although today with its 13 levels it looks a little bit funny at the time of completion (1933) it was the tallest building in all of Yugoslavia, 9th tallest in Europe as well as the tallest apartment block in Europe. Nebotičnik still offers great views over the city of Ljubljana. If you are keen on the religious buildings, Sts. 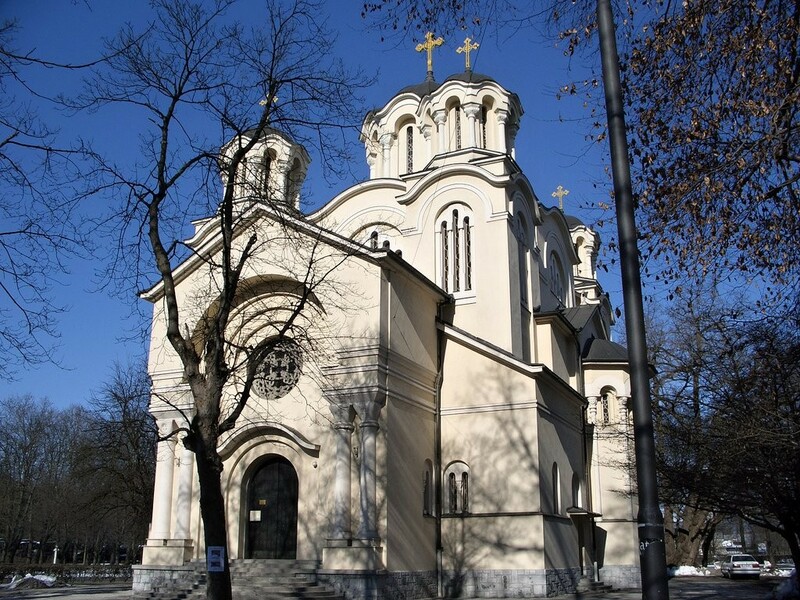 Cyril and Methodius Church will be another great sight to visit. Built in 1936, this amazing Orthodox Church boasts beautiful decoration and wall and ceiling paintings. 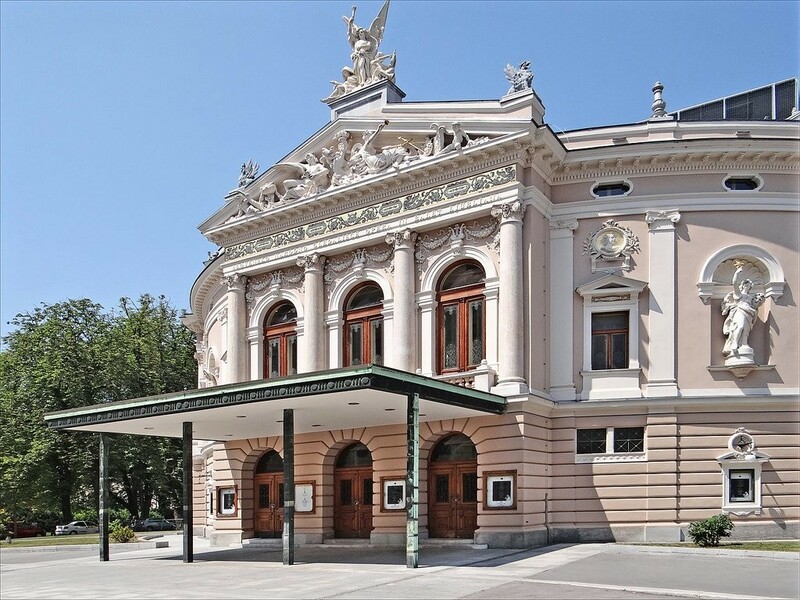 Another beautiful building in Ljubljana is the National Opera and Ballet Theater. It is amazing not only from outside but even its newly restored interior is worth a visit. If you like opera or ballet than visiting this place is something you simply cannot afford to miss. Križanke is an outdoor theatre and a place where major festivals take place during the summer. 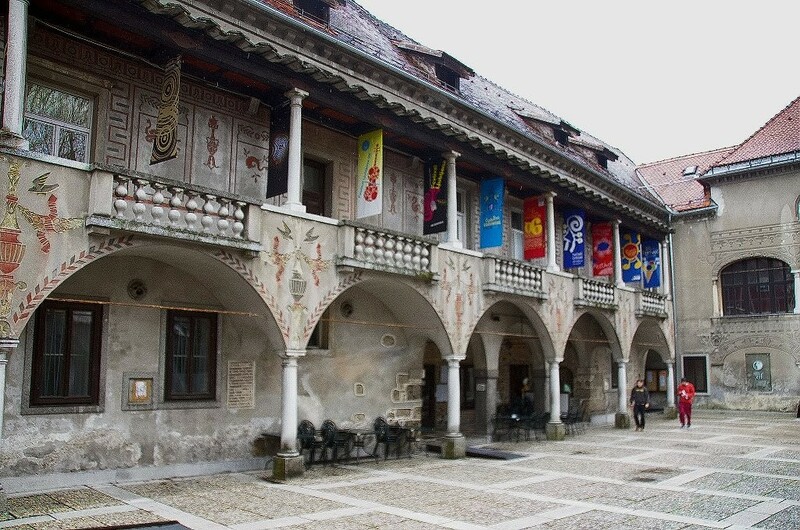 If you are in Ljubljana during the summer months, choose any of the events to enjoy the unforgettable atmosphere in the courtyard of the former Križanke Monastery, where this open-air theatre is located. 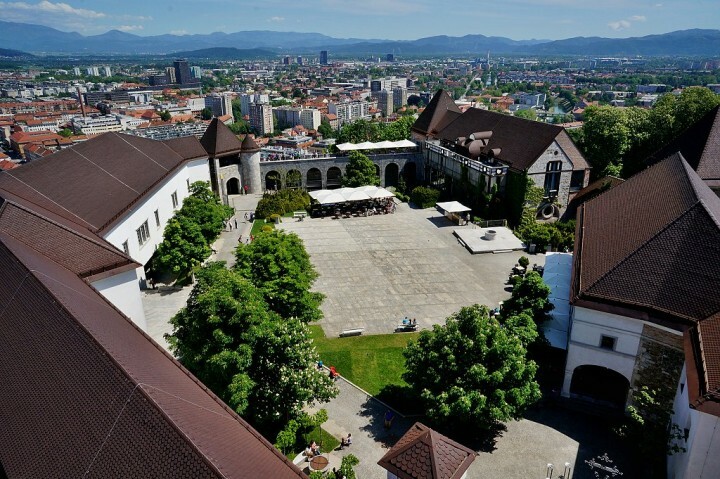 One of the most important institutions of Ljubljana is its National and University Library. It has unique facade but its interior is what drive people to visit this place. Completed in 1941, completely destroyed in 1944 by a German plane accident and repaired in 1948, the library now serves to a lot of readers these days. Coming to Ljubljana with kids? No problem! There are lots of attractions out there in Ljubljana to make your kids happy. And one of them is Ljubljana Zoo. It is not so large but it can easily make all the family busy for the whole day. 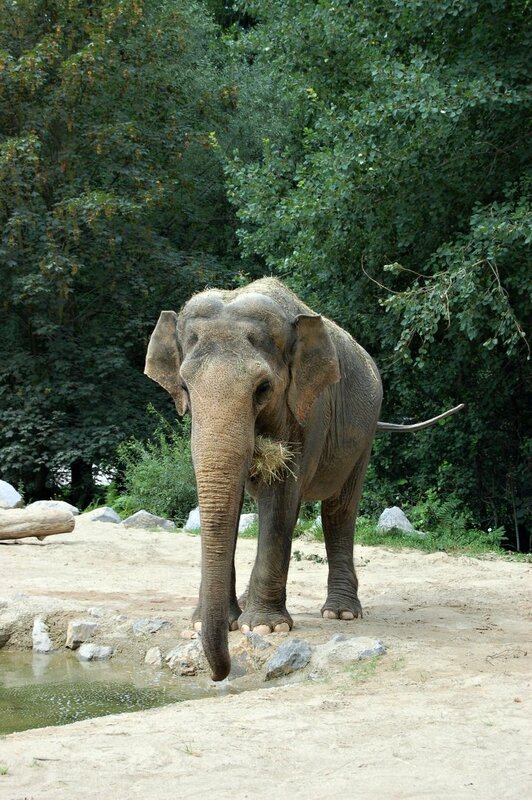 There are lots of activities you can try, including Photo Safari, animals feeding or camping at ZOO. How to get to Ljubljana ? 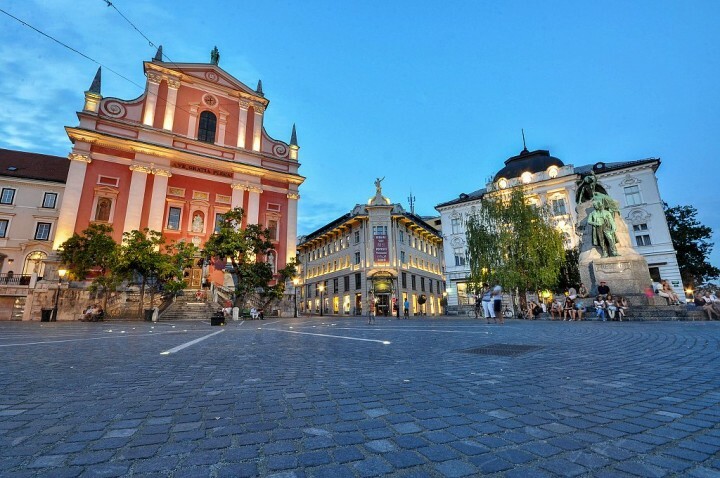 To find a cheap flight to Ljubljana, you can search on our partner’s website Skyscanner. Ljubljana is a congress city, this is better if you book your nights in advance. Youth hostels are not numerous, but it is possible to find cheap accommodation. The majority of hotels are 3 star hotels. 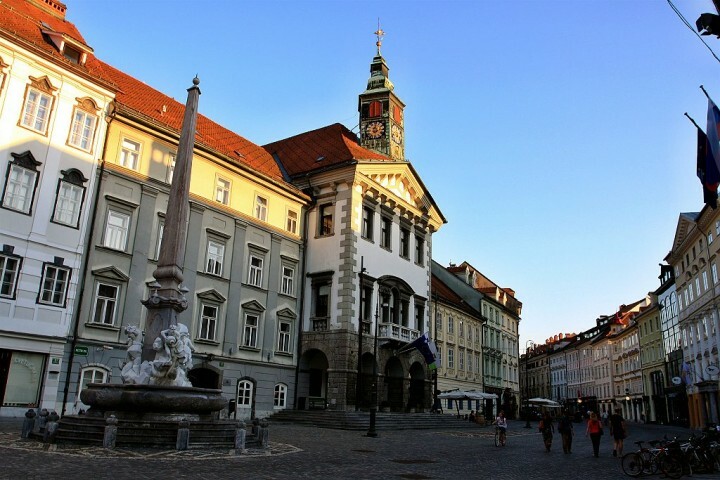 You can find an cheap hotel in Ljubljana by searching on this hotel aggregator. This was the list of Top places to see in Ljubljana, if you think that I missed something beautiful, please let me know in the comments below so I could make this list even better! Lovely spot and will be back to visit family soon. Ljubub…… yeahhh still can’t pronounce it. Only made a fleeting one hour visit while passing through last year but would love to visit and see more of Slovenia. 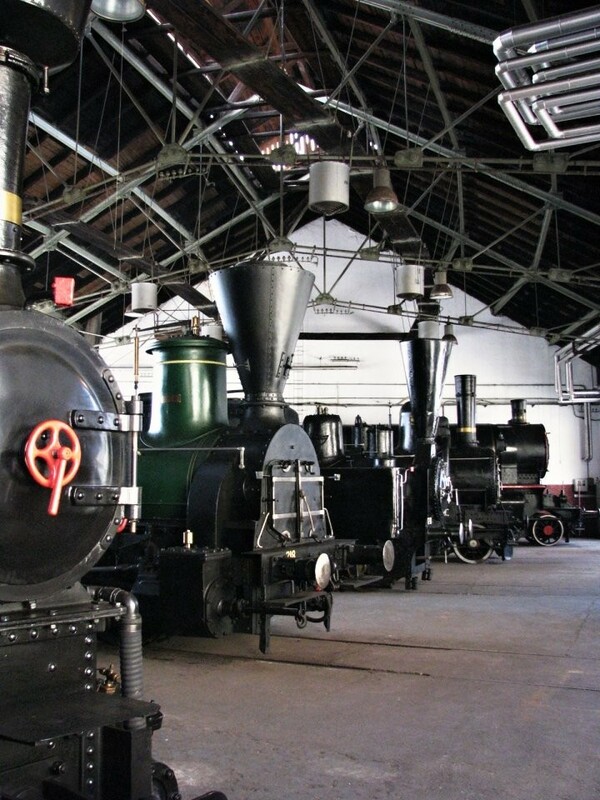 And as a childish train obsessive, the museum looks like a great fun! Yeah you should, always welcome back for more! I have wanted to visit here for a while now and this is exactly why, so many amazingly beautiful and interesting things to see and do! Hopefully I will get to see it next year, that for all the tips! You want to know what I wish? I wish people still made other buildings like they make cathedrals there! Gorgeous! I had no idea there was so much to see! Great photos. I’m hoping to visit in Spring next year -will definitely be making a note of these places! Looks like a very nice and charming city! I went to Ljubljana when it was raining and that had a great impact on what I got to see. Your pictures make me want to go back and try again when the sun is out! It really is a beautiful city and fun to explore. What an amazing looking place! How do you pronounce Ljubljana though??!? Oh wow this is magnificent! The town, the buildings…it’s everything I imagined a quaint place would be. That shot cathedral is immaculate. 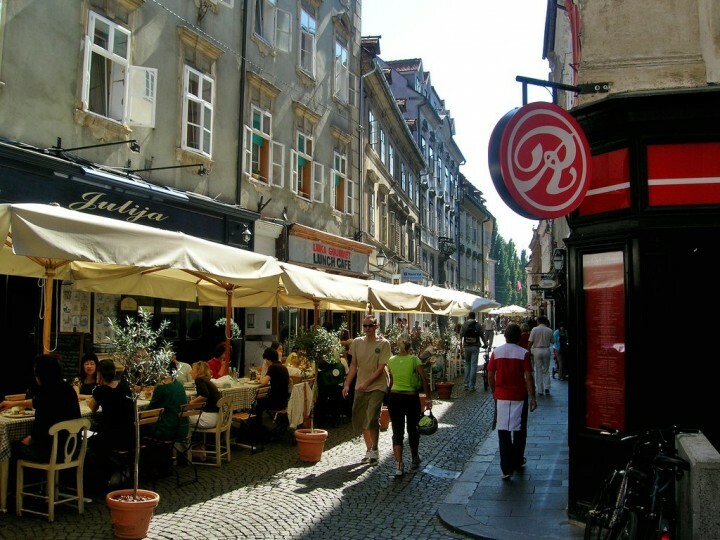 Fantastic round up of places to visit in Ljubljana! We’re headed there in less than a month and I will definitely be following your advice! This sounds like a beautiful place that I had not previously heard much about. Thank you for the visual walk thru the city, beautiful photography. Thanks, Ynah, for your comment, I probably forgot to mention that this capital is surrounded by the beautiful nature all around, so a visit will definitely be enhanced with much more beauty when you go on some day trip around. I haven’t seen much about this place before, but it looks really pretty! Thanks for a positive review!